Elegant facilities and unparalleled customer service make Spitzer Conference Center Northeast Ohio's destination for special events. Whether your event is for business or pleasure, a professional conference or your storybook wedding, our beautiful spaces and expert team deliver the customized experience you're looking for. Flexible meeting spaces, access to technology and unparalleled customer service make us the ideal choice for your next meeting or conference. Let our expert staff take the worry out of your big day. Our elegant facilities and exceptional level of service are a perfect fit for your once-in-a-lifetime moment. Our expert chefs will delight you with an impressive menu or a customized experience. From elegant dinners to boxed lunches, we have everything you need. Spitzer Conference Center and Lorain County Community College have a deep commitment to our community roots. We take great pride in cultivating relationships with our friends and neighbors, whether through our exceptional service or by going out of our way to help those around us. Bring the whole family for Easter Brunch Sunday, April 21. We partner with our Culinary Arts Program to offer community courses through our Culinary Arts Institute, and our work with local farmers allows us to bring locally grown, seasonal produce to our menus. 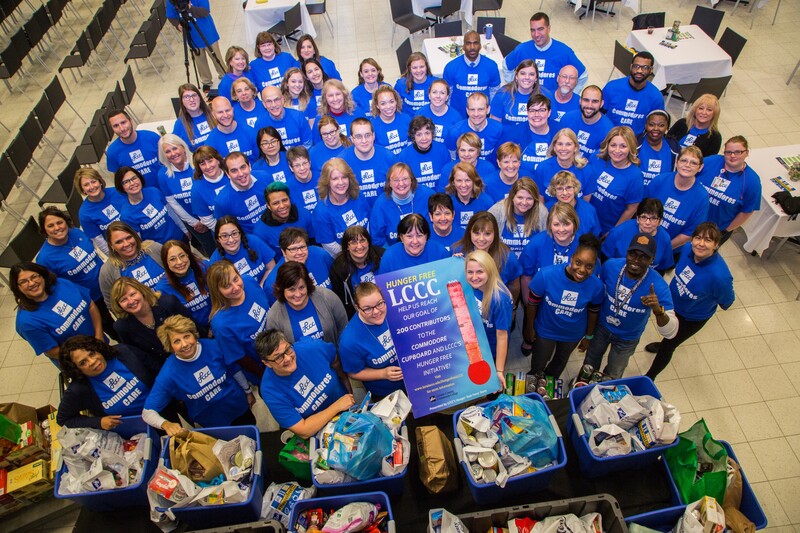 We are also committed to providing our services and assistance to campus resources like the Commodore Cupboard and Hunger-Free LCCC, lending a hand with food assistance for those in need. Our commitment to our friends and neighbors makes all the difference at Spitzer Conference Center where you’ll feel right at home. As part of our commitment to LCCC students and to our community, we provide food assistance and support for The Commodore Cupboard. We're proud to partner with our local community farmers and producers to bring fresh, homegrown food to our kitchens and to your table. Enjoy an elegant, fine dining experience at our own Sage & Seed restaurant, operated by LCCC culinary arts students and our award-winning chefs. Gather your friends and join us for our Culinary Arts Institute's cooking classes where fun, learning, friendship and great food are always on the menu.